These are edge grain boards made from Bubinga, Hard Maple, and Bloodwood. 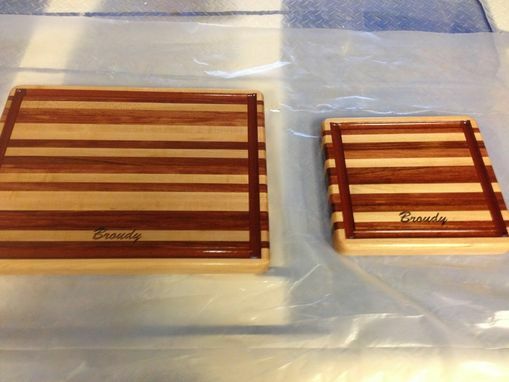 The juice groove is Bloodwood and the rest of the pattern is bubinga and maple. The boards have 7 coats Howard's block conditioner. 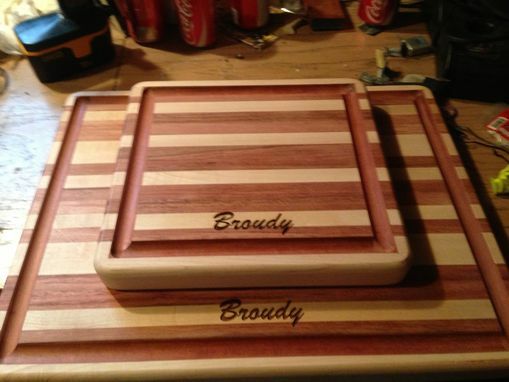 Personalize your board by requesting a name or message to have engraved -- make this a truly personal gift! Further details can be made available by request.